Today, October 5th, at 7:10 am American Airlines flight 550 landed in New York mid-flight for the last reason anyone would expect: the pilot passed away mid-flight, the name of the pilot and cause has not been announced. During the flight, the pilot became unresponsive, at which point the co-pilot took over and was able to safely land the plane in Syracuse, its original destination was Boston. This unfortunate event was completely unforeseen, thank goodness the co-pilot was proactive and able to get all 147 passengers to ground safely. Next event. American Airlines flight 31 departed from Los Angeles with a full house, Hawaii bound. Little known fact that the Airbus A321s was not certified to fly over the Pacific Ocean. This aircraft was no correctly equipped to fly over the Pacific. Luckily, the aircraft made it safely to Hawaii. The plane was later flown back to LAX with the minimum amount of crew on board. Thankfully both of these incidents left no passengers harmed… just a bit shaken. All of us can easily find an example of conformity in our lives. However, it is depicted as destructive and discouraging most of the time. Why does it have such a negative connotation? After World War 2, when the men came back from the army and had become accustomed to community solidarity and conformity, a heavy social atmosphere was created, in which non-conformists were often treated as social outcasts. However, such an unstable social atmosphere, which eventually built the limit to individual creativity and freedom, was soon criticized, and conformity was considered as a factor of it. Published in 1948, “The Lottery” by Shirley Jackson gives an extreme example of an indoctrination. In “The Lottery,” as an old custom, a town annually holds a lottery, of which the winner receives a brutal death by his close neighbors and families. However, no one knows the purpose of the murder or questions it. Illustrating the townspeople’s insensitivity to the tradition’s cruelty and irrationality under conformity pressure, Jackson shows the perils of people being conformists without thinking critically about the consequences. As individuality and freedom have been highly respected in the 21st century, in 2015, conformity does not oppress people as much. Rather, unlike its general impression, it might have some positive influence on people while they do not recognize it. Conformity can reduce the new kinds of social pressure. For example, a lot of teenagers distress themselves thinking about how to express themselves as outstanding individuals. They worry about their looks constantly, and those of who are not able to follow the trends often feel very insecure about themselves. Wearing uniforms, which is viewed as a form of conformity these days, can change the pressure to a sense of fitting in. Conformity can create a culture. Since humans are highly socialized animals, they constantly build their cultures as they interact with each other. Today, information floods, and things change fast. New technologies are developed every day, and unfamiliar trends spread all over the globe in one day. Therefore, people who cannot catch up with the fast-changing trends might feel lost in society. Then, conformity can function as a standard; it offers people opportunities to stay in the majority without particularly standing out. It is true that conformity created a great social pressure in the past. 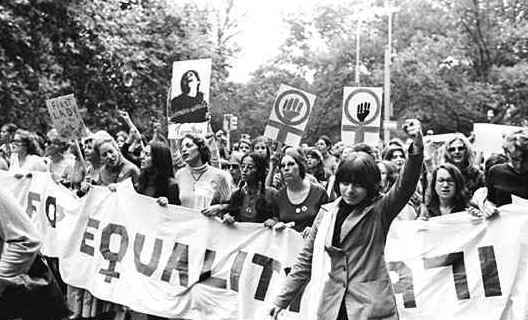 However, as our society has changed a lot, it is important look at it from a different viewpoint. Conformity can have some good effects on our society unlike its negative impression. “Sorry.” This word has become slightly controversial in recent years. Most know that it is used to patch up a broken relationship, acknowledge an everyday wrongdoing, and to make up for committing a personal offense. Who tends use this word the most? Women. If you don’t think so, then you might as well apologize to CNN, NY Times, Time, and Forbes for wasting their time writing about it. Many reporters go to the same two studies: one made on 33 college students who kept an online 12-day diary reporting every time they apologized and why. The second was another college study, this time with 120 of them, rating how offensive a particular action is, such as bumping into someone or asking a question. These studies found a few interesting ideas. Women, in fact, do apologize more, but men and women alike apologize the same amount they think they offend someone. Interestingly enough, the divide isn’t the amount of apologies, but the significance of the wrong-doing. The ad shows how much women apologize for things they don’t need to apologize for. This ad is critiquing that women need to feel sorry for asserting themselves, taking up space, or receiving help. Many women should realize that being polite doesn’t mean you have to be submissive or allow others to walk all over you. Now I’m not saying to just walk around in your everyday life bumping into people or stepping on their feet and not apologizing, I’m simply saying women don’t need to feel bad for existing. Women aren’t burdens to society, so don’t apologize for existing, girls. 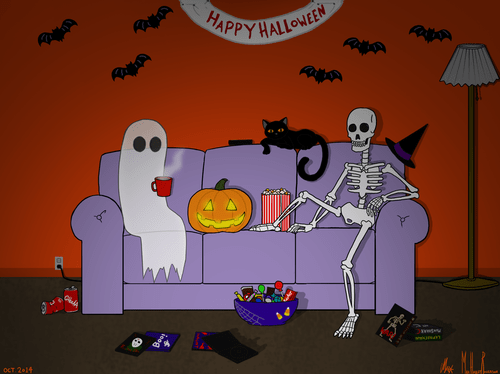 It’s finally October – so whip out those Halloween decorations and a copious amounts of candy corn. Every year when October comes around, I get really excited, like way too excited, because it is the beginning of fall and it means Halloween is not far away. My current neighborhood, filled with rich retired elderly couples treating Halloween like any old day, and to be honest, it’s dreadful. I used to live on a block where Halloween was the most important holiday. They used to put their decorations up right when the first leaf fell from the trees, and the fresh smell of pumpkin wafted through the air. Every house had a jack-o-lantern in the window and a styrofoam cemetery on their front lawns coated with bright golden leaves. October, in my eyes, is one of the best months out of the year. Halloween is magical, but the sounds and views around you on an everyday basis are what makes October truly great. The sound of crunching leaves on the sidewalk, the turning colors on the trees, the burning of fall time candles, and let’s not forget pumpkin spice everything. Ok, I know that anything pumpkin spice is basically all sugar with the tiniest amount of real pumpkin, if it has any pumpkin at all, but it transports your mouth to fall wonderland. 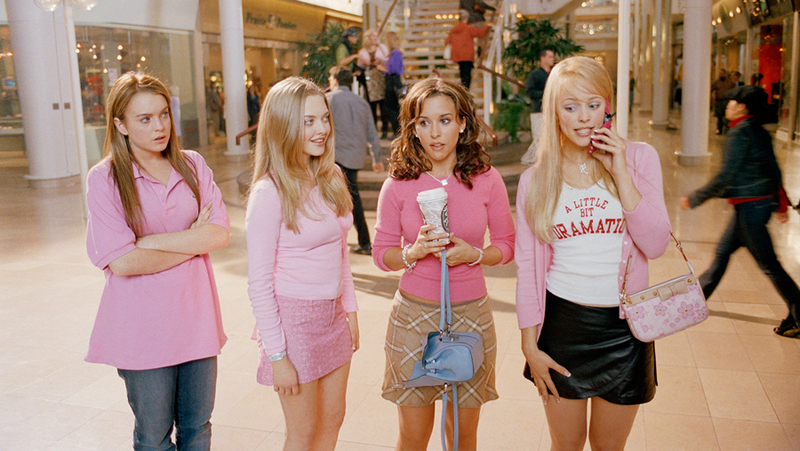 On top of all that, is the introduction of fall fashion. Along with October comes chunky sweaters, boots, and cute beanies. Seriously, sweaters are like socially acceptable pajamas, and beanies can save a bad hair day. So take advantage of October. This is the month to curl up in huge blankets, drinking a pumpkin spice latte if you wish, and watch all the Halloween classics. Time Travel is real, and I can prove it. Let’s start with my favorite, often referred to as the time-traveling hipster. 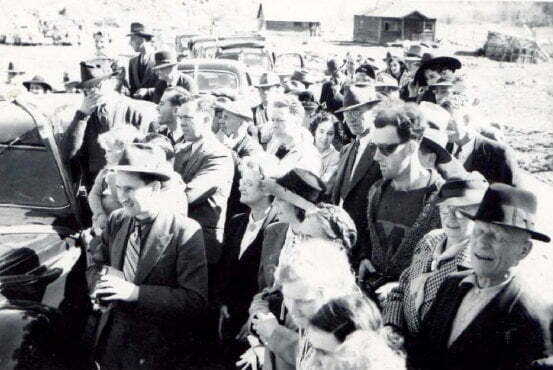 In 1940, a photo was taken at the reopening of the South Fork bridge in Canada. In the photo, everyone is dressed in very time-period-appropriate clothing; all except one man, who I call the Time-Traveling Hipster. He is wearing a cardigan with a graphic tshirt. His sunglasses are very retro and his haircut does not really fit the time period. The strangest part is what is in his hands. In his hands appears to be a DSLR camera which weren’t invented for another 50 years. Film cameras were around during that time but they were mainly silver. His camera is black. The time traveling hipster has been debated over for years, but no conclusion has been reached. In 2008, another unexplained mystery emerged when a Chinese archeologist opened up a 400 year-old tomb. The tomb is believed to be untouched by anyone since it was sealed 400 years ago. But that makes it hard to explain how they found a small ring made of metal, shaped into a watch, with the time 10:06 and “Swiss” engraved on the back. It was in the soil on the outer layer of the coffin. 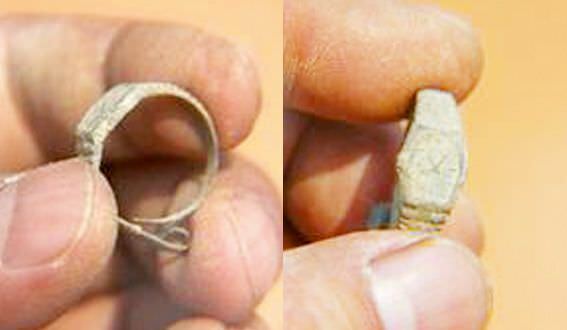 The ring is believed to be only 100 years old. The question is, who in 1908 would enter a tomb, not open the coffin, not loot the place, not announce the discovery, then close the tomb they were in. 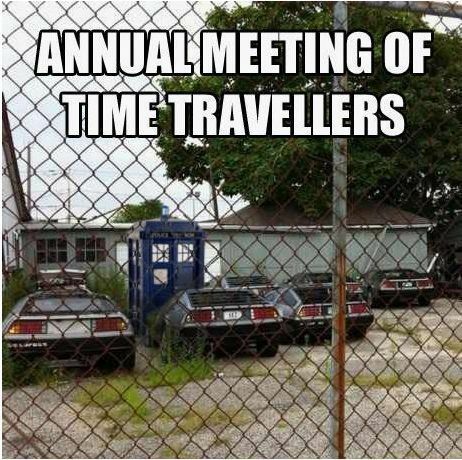 The best answer would be time travelers. Maybe time travelers have a creed, and they gather research and try to leave little evidence behind. Although another theory attempts to debunks this theory, saying it is more likely be some sort of “quantum strangeness”, where random object disappear and reappear in different places for unknown reasons. I think that theory is far-fetched, and I’ll stick with time travel. Of all the far-fetched stories, this next one beats them all. It has the potential to be real, but odds are if it was, we would not know about it. The story from Andrew D. Basiago seems to be loony. In 1970, the defense advanced research project agency A.K.A DARPA worked on a top-secret project known as Project Pegasus. Basiago claims to be a child participant in the program. I say “claims” because all the websites are not what I would call factual. The mission statement which has not been confirmed by DARPA is to research and perform “time sensing”; it is the US time-space exploration program. Several children were a part of this program, but I had trouble finding names. 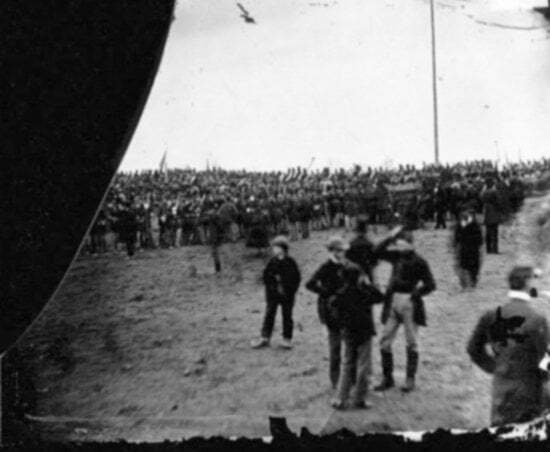 But Andrew D. Basiago says that on one of his temporal trips he was at the Gettysburg address, and he is in a photo, in which he claims to be the boy in the bottom left. I looked at Basiago’s childhood pictures; there were very few, and in none of them he had long hair. But it would make sense that he didn’t have photos from the time he was a part of Project Pegasus. This is either a massive government cover-up, or just a man who wants attention. Either way, the government doesn’t care, because it would be nearly impossible to prove, especially with his reputation. Don’t take this too seriously. Most of these examples have explanations which kill imagination. I believe in time travel, and I wish I believed the stories. But whether or not I believe is not the purpose of article. My purpose for writing this is to raise curiosity of time-space and open up minds to different views even if they are far fetched. I was shocked to hear it. I really thought it had stopped being ‘cool’ a long time ago. “That’s so queer.” He said, the first time, referring to someones Instagram account. I looked him dead in the eye. “Stop. You have no right.” But he didn’t. The words ‘Fagg*t,’ ‘Queer’, and ‘Gay’ were used several more times as an insult throughout the conversation. Eventually I left, utterly disgusted. So why is it so important to stop using these terms like this? Well first of all you may think it’s cool, but I don’t care how many bro-points you gain, insulting someone via their sexuality. But really, that’s only the surface of this issue. Yeah, it’s mean, but it’s so much more too. Have you ever heard of the butterfly effect? So essentially, everything you do makes ripples. It goes a lot further than you thought it would, in a lot of ways. You make gay synonymous with bad. You make kids feel lesser for their feelings. You are furthering this insult, keeping the cycle going. Just stop. You are bullying. I do not care if you said it to a gay person or not. You are being a bully. End of story. 23% of gay or bisexual teens have tried to take their own lives and 56% have self harmed. You are an accomplice to these murders of young children who did nothing wrong. You are saying that it’s ok for millions upon millions of people to be degraded world-wide so you can… be cool? Grow up. Back to the statistics – More than 85% of LGBTQ+ youth have been harassed at school in the past year. You are making your school a place where kids may be afraid to attend.